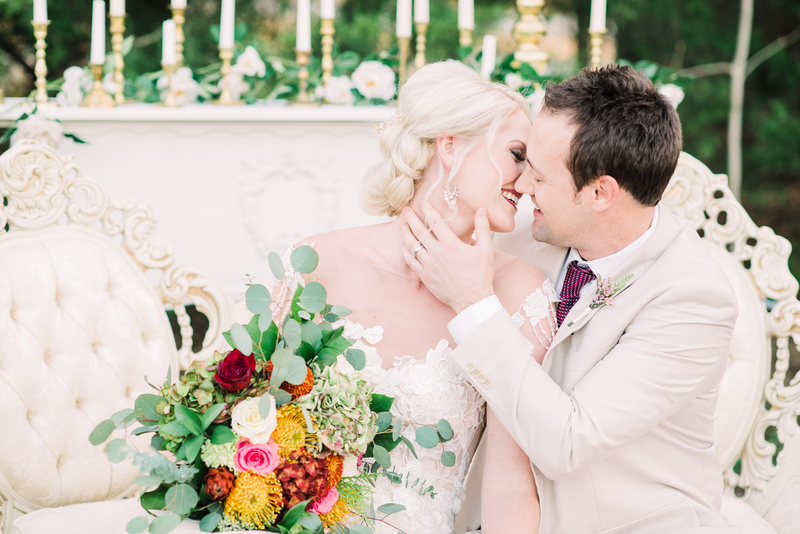 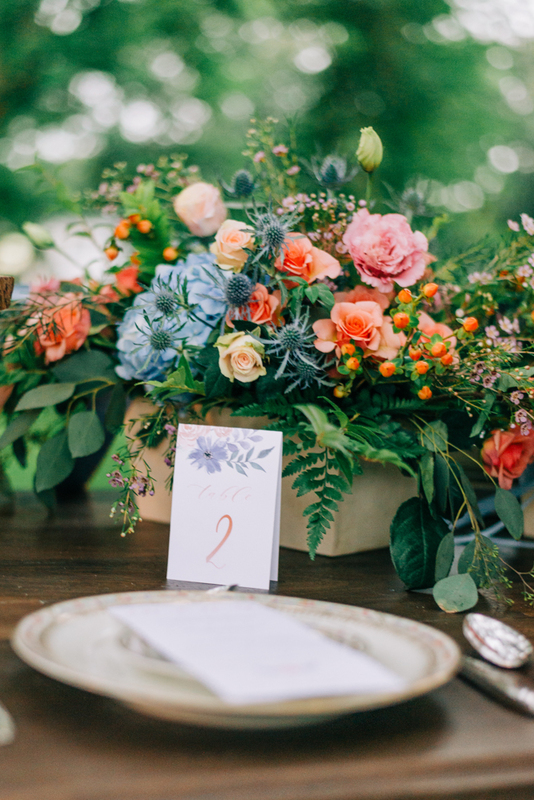 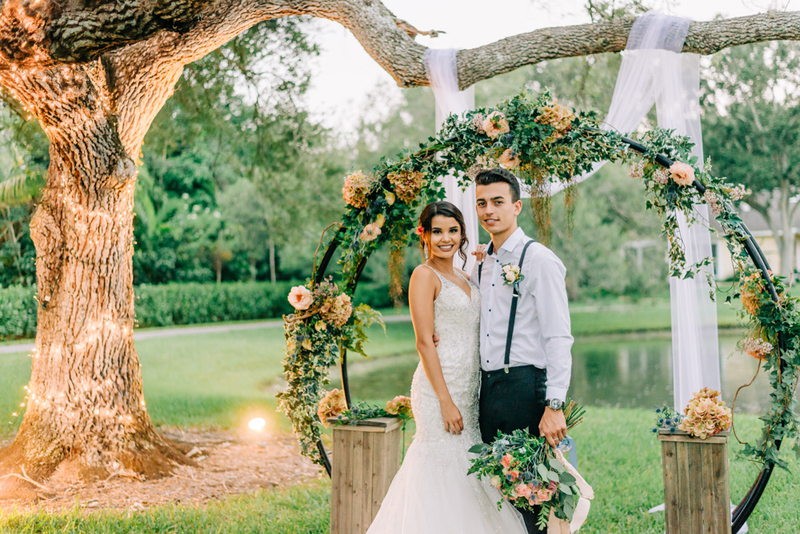 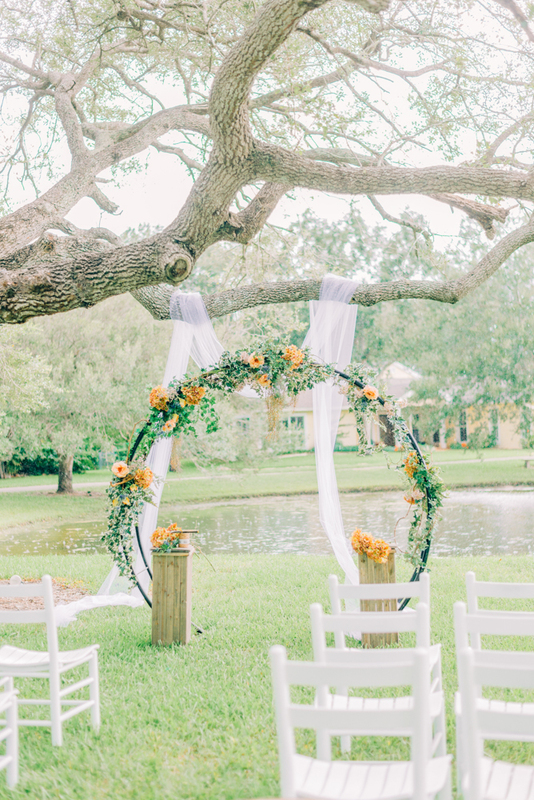 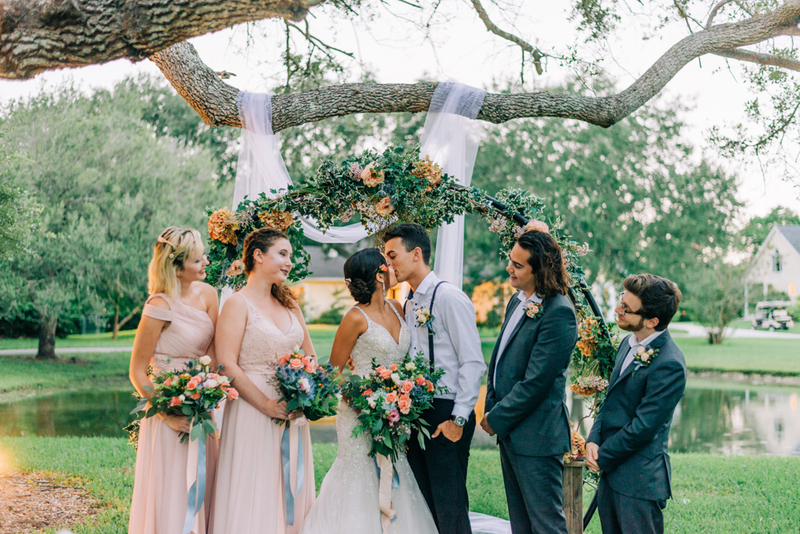 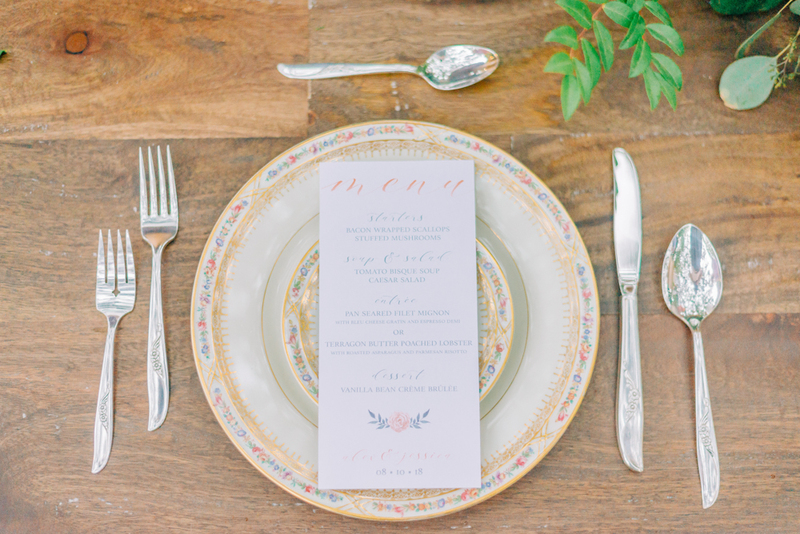 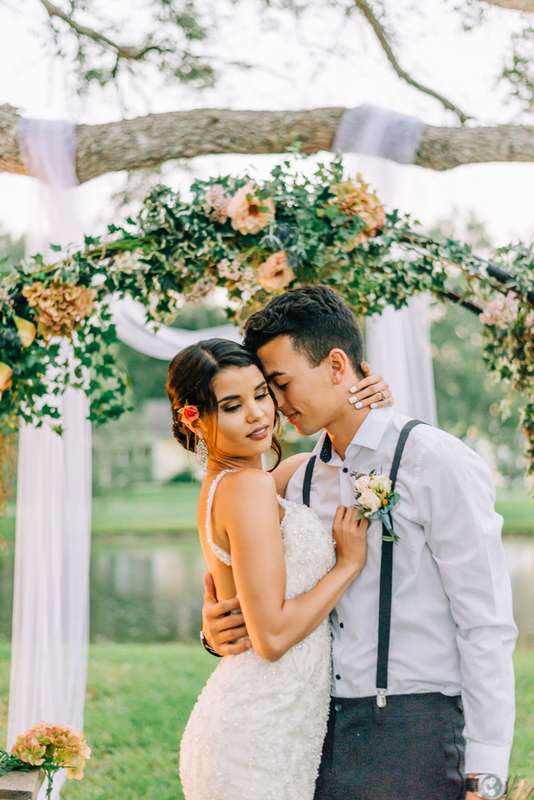 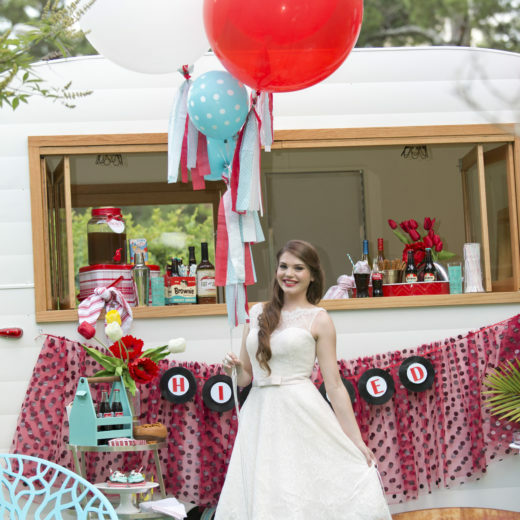 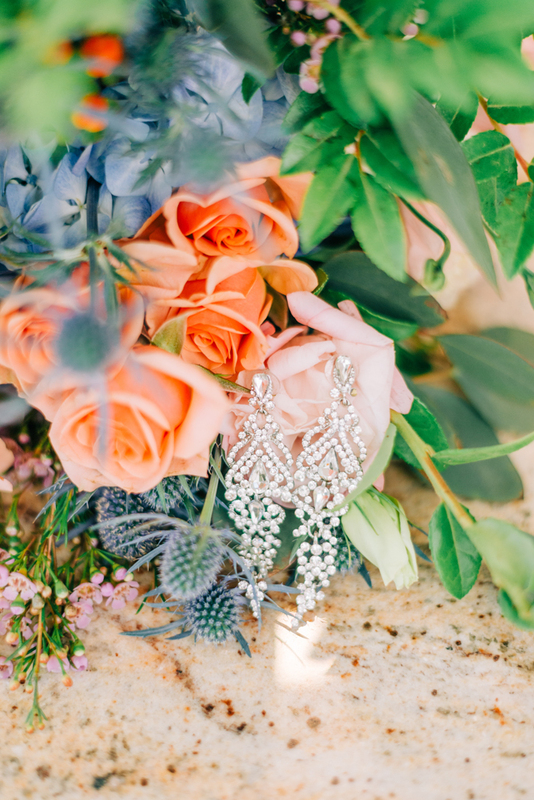 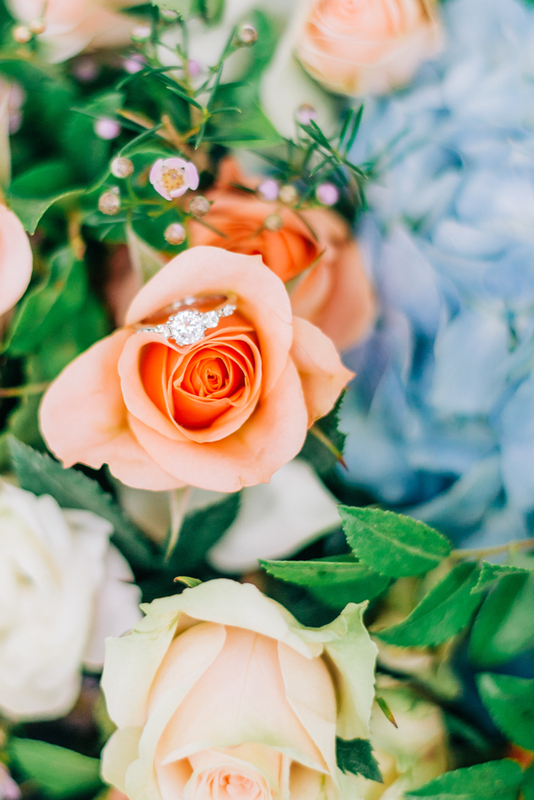 Set among the trees of a Florida mango farm, this styled wedding shoot combines over-the-top florals in gorgeous shades of peach and light blue for a sweet, vintage farm design with just a touch of rustic detailing. 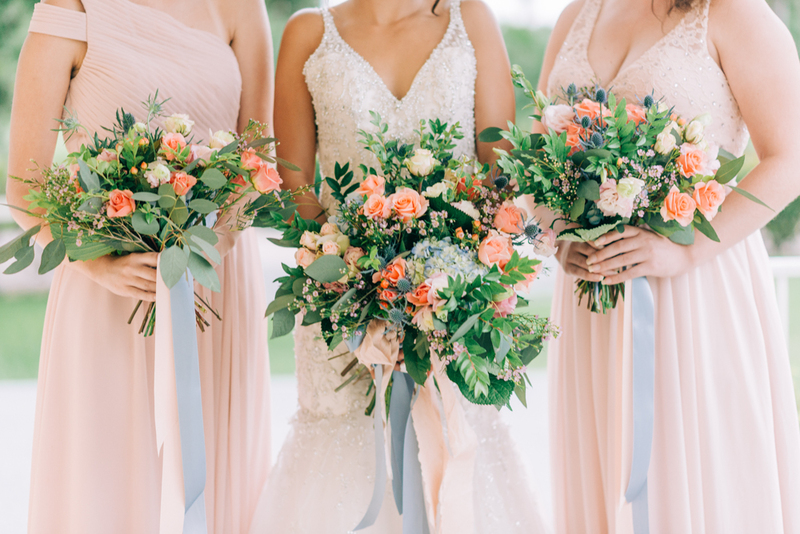 The loosely designed bridal bouquet relies heavily on peach tones with an abundance of greenery. 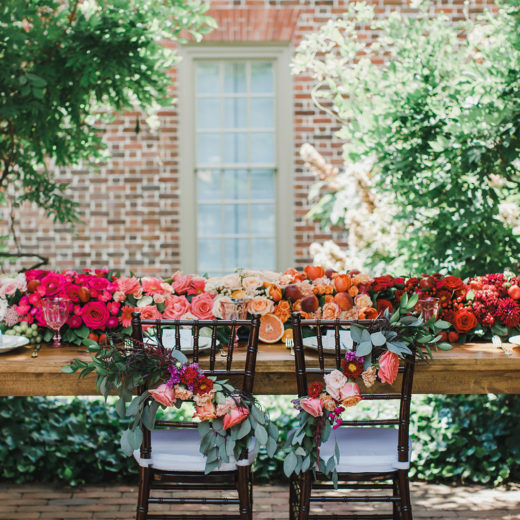 Centerpieces and the circular arch were covered in greenery with the same peach florals. 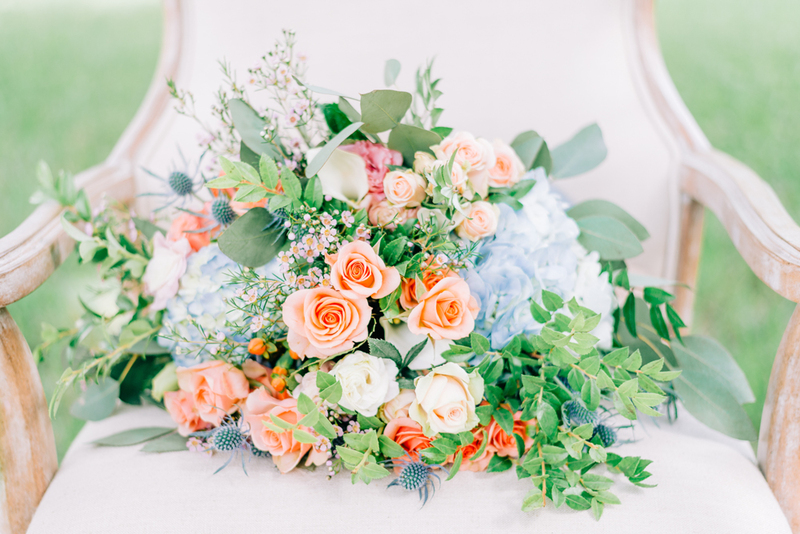 The team of designers added pops of light blue in the bridal bouquet and centerpieces and pulled the color into the tablescapes through the delicate florals on vintage china. 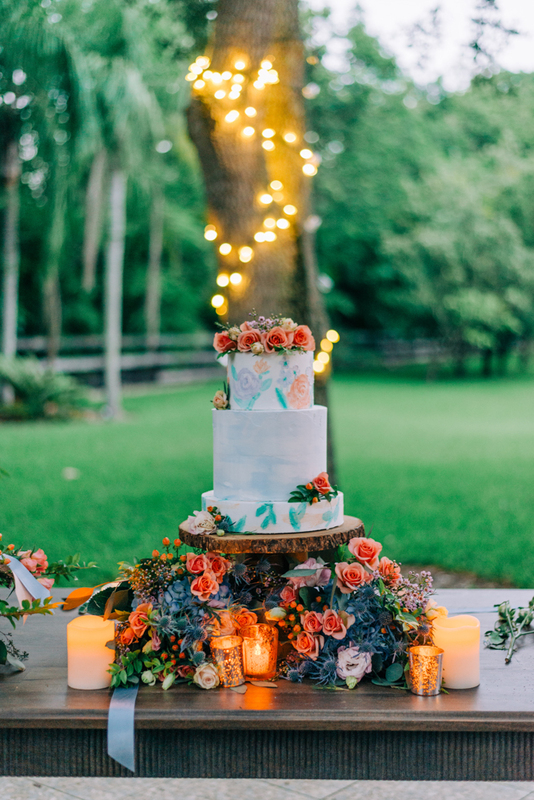 The gorgeous hand painted three tier cake was adorned with fresh flowers to accentuate the overall design. 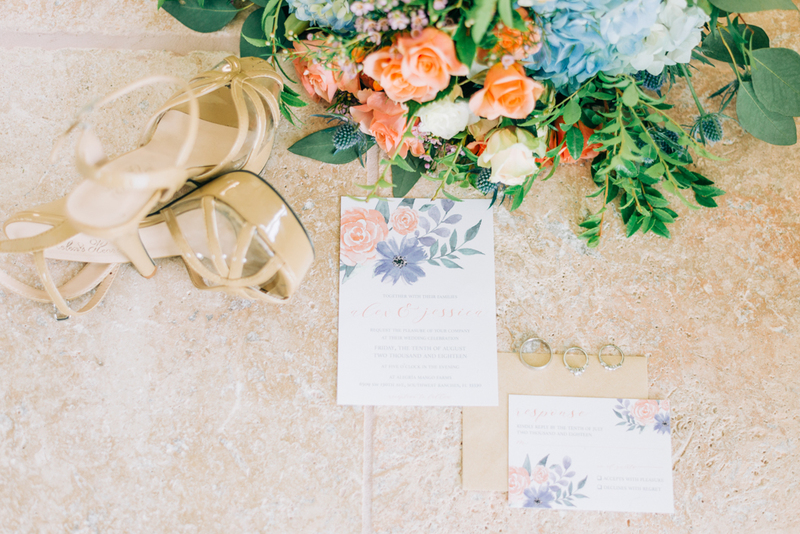 Invitations, menus and table numbers pulled florals from the design as well for a soft, watercolor effect. 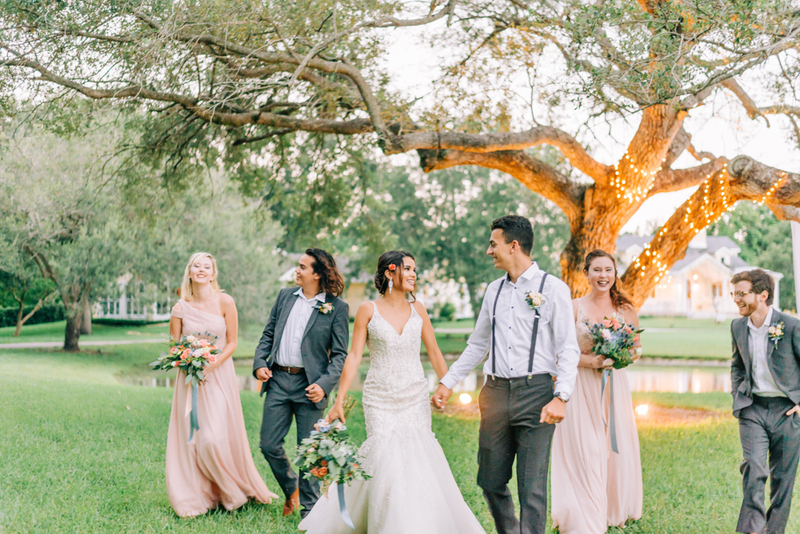 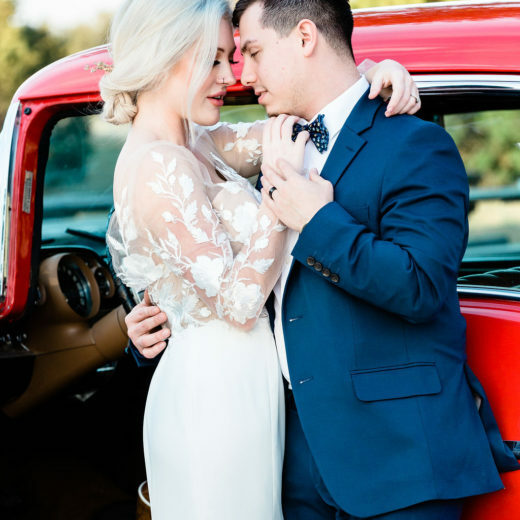 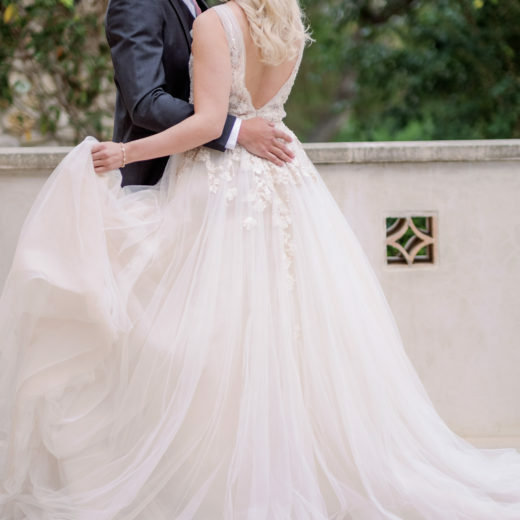 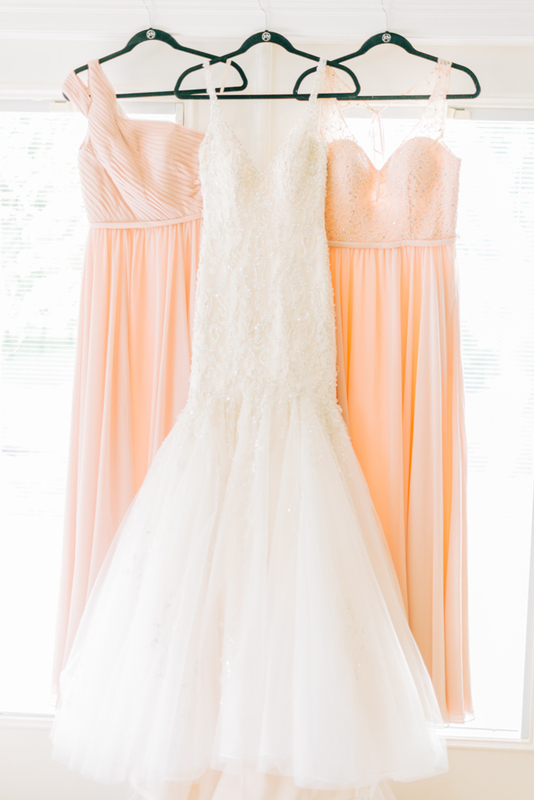 The bride wore a beautifully beaded Morilee by Madeline Gardener gown while bridesmaids wore Morilee gowns of the lightest blush pink in different styles. 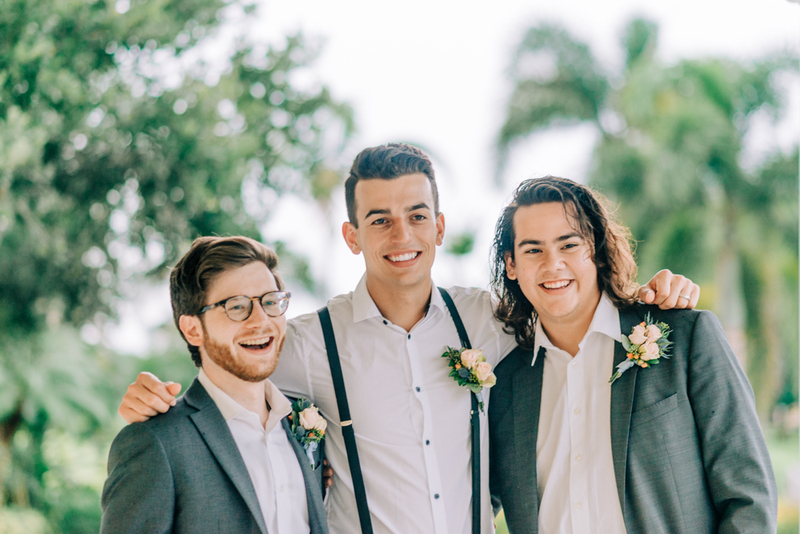 The groom was casual in black tuxedo pants, white button up shirt and black suspenders with the groomsmen in gray suits.